Unaccustomed as the pro boxing world is to seeing Anthony Joshua fights going to the judges, he finally came up against an opponent he didn’t knock out in Joseph Parker – but AJ still landed a unanimous points victory over the New Zealander in Cardiff. Joshua unified the WBO heavyweight title with the WBA (Super), IBO and IBF belts in the Welsh capital to extend his unbeaten professional record to 21-0. Thoughts have already turned to what his next fight will be. There’s no doubt AJ wants to take the unprecedented step of unifying the entire heavyweight division by battling WBC champ Deontay Wilder. He said as much, yet that hotly touted American opponent turned down a ringside seat for the Parker bout. Behind the usual boxing bravado, AJ and his camp are clearly motivated by the prospect of making him the first fighter to ever hold all four of the sport’s major world heavyweight titles. That ambition may also attract Wilder, but it’s not quite as simple as that. Joshua also outlined he had no interest in taking the fight to Wilder over in the United States putting the ball in the American’s court. Wilder has competed in Britain before, but not since his first-round knockout of Audley Harrison in Sheffield back in 2013 long before he became a world champion. There’s also boxing politics to consider and the various organisations may think differently about who Anthony Joshua fights next. It leaves plenty of scope for facing Wilder to fall through. AJ v Wilder is a dream bout, but what other opposition is out there? We look here at five alternative Anthony Joshua fights. Only Wladimir Klitschko has beaten Alexander Povetkin in the paid ranks and the Russian looks likely to be the WBA and WBO’s mandatory challenger to Joshua after his brutal fifth-round knockout of David Price on the Parker undercard. That’s because Povetkin holds both the WBA inter-continental and WBO international heavyweight belts. 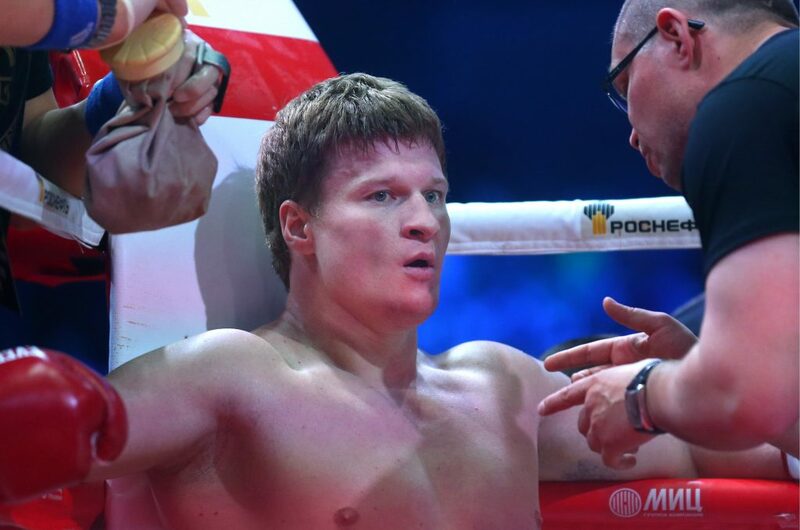 A veteran of 35 pro fights and winner of 24 by KO, Povetkin still has the stamina to go all the way as two of his last three bouts went to the judges. Boxing promoter Eddie Hearn hinted he had another heavyweight opponent in mind for him following the Price victory, however. If that proves true, then only pesky boxing politics will bring Povetkin about as the next of Anthony Joshua’s fights. At this stage, this looks little better than a safe fall-back option for AJ should Wilder decline to meet him in the ring. 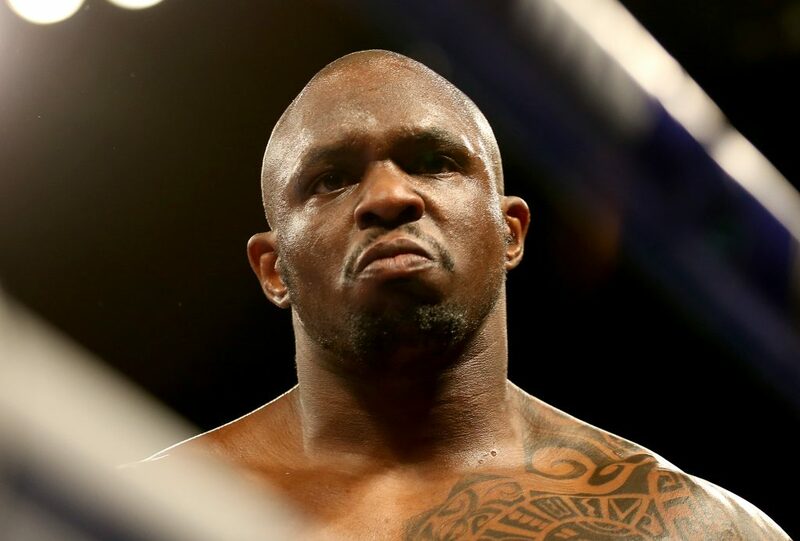 WBC silver heavyweight champion Dillian Whyte has hankered for a rematch with fellow British representative Joshua before after the Jamaica-born fighter was handed his sole pro career loss when they clashed back in December 2015. AJ stopped Whyte in the seventh round of their encounter. Since that defeat, he’s won all seven subsequent bouts, including a split decision victory over Dereck Chisora and a sixth-round knockout of Australia’s Lucas Browne last time out. That’s further evidence of Whyte’s resilience and ability to bounce back after he incurred a drug ban earlier in his career. Povetkin is another possible opponent for Whyte though, while if he continues to take aim at Wilder himself then the WBC could order a final eliminator bout against another American in Dominic Breazeale to determine their mandatory challenger. It’s all starting to get complicated, but Joshua knows he can beat Whyte and doesn’t really have anything to prove. Undefeated American boxer Jarrell Miller faces France’s Johann Duhaupas in the Barclays Center in his native New York this April, but this ambitious climber up the heavyweight rankings is targeting a world title bout in the near future. 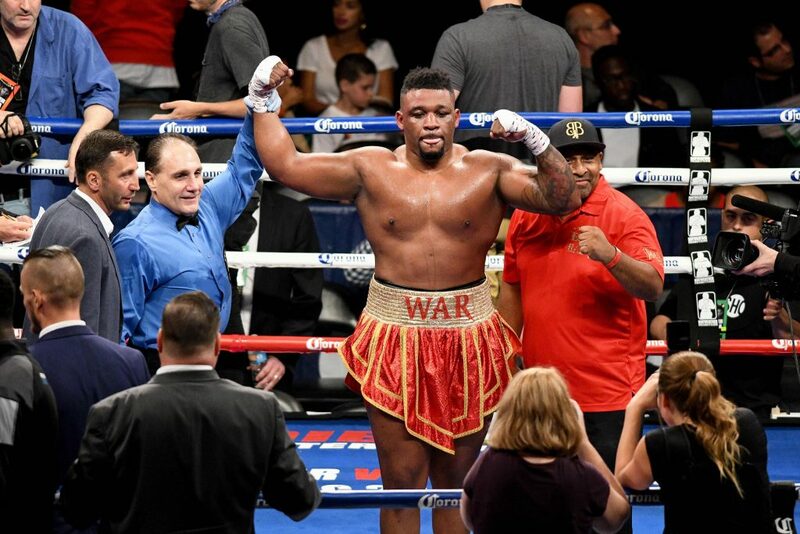 The Brooklyn born boxer nicknamed Big Baby is no joke in the ring, knocking out 18 of his 21 professional opponents to date. Miller will only enhance his claims if he defeats Duhaupas with home advantage and arguably has the greatest scope to improve. It’s been difficult for him to get the calibre of opposition he wants to fight, however, having called out Whyte before and then seeing a fight with fellow unbeaten New York fighter Trevor Bryan fall through. The latter is promoted by the legendary Don King, yet Miller has instead had to settle for that Duhaupas battle in The Big Apple. AJ’s first defence since dethroning Klitschko was supposed to be against Bulgarian boxer Kubrat Pulev, but a shoulder injury put paid to that encounter last autumn. When he’s fit again, there’s the question of where The Cobra fits into the title picture now. The IBF made Pulev its mandatory challenger for Joshua last year and Carlos Takam was a late deputy when that injury picked up in training ruled him out of the fight. As with Povetkin above, only Ukrainian boxing legend Klitschko has beaten Pulev in his pro career so far. 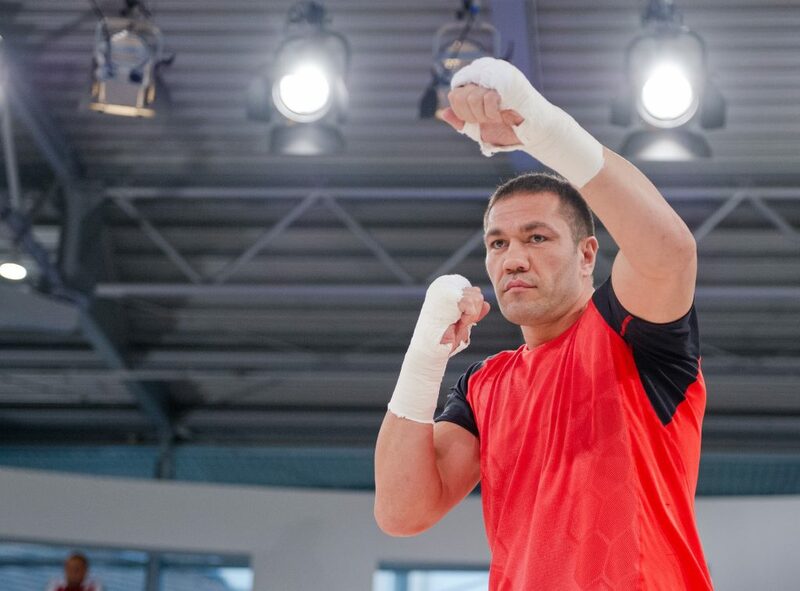 Depending on how long it takes to get back in the ring and what shape he’s in, Pulev may benefit from an easier bout than tackling AJ straight away. He won’t want to become the forgotten man of this era’s heavyweight division though. This is another of the Anthony Joshua fights AJ himself specifically said he wanted, but we haven’t seen former champ Tyson Fury in action since he beat Klitschko for most of the major belts in November 2015. The Gypsy King is back in training at Ricky Hatton’s gym in his native Manchester after getting his boxing licence back following a drug ban. Fury’s road to redemption is only just beginning and while an all-British bout with Joshua is desirable it seems some way off now. 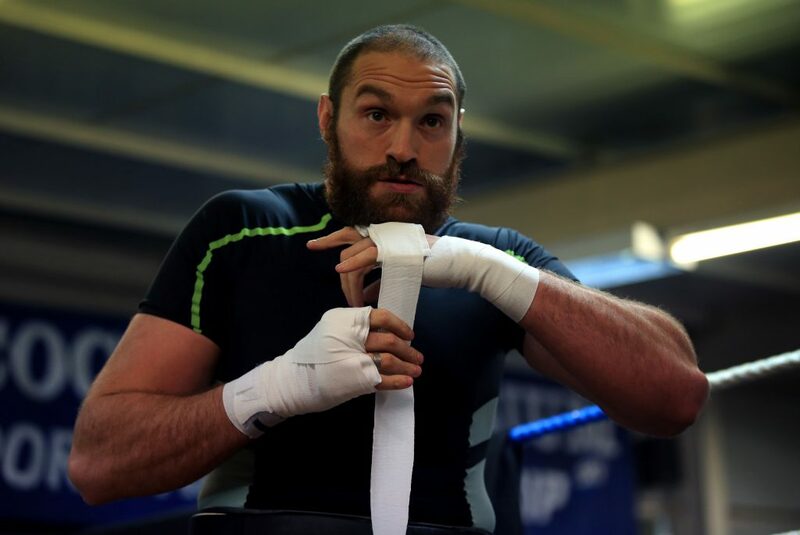 There is ring rust after two-and-a-half years away from boxing for Fury to shake off. A fight with AJ would make a fascinating story, not least because Fury feels all the plaudits and glory Joshua is getting and has tasted should’ve been his.